Share your work and ideas via a blog or portfolio website. Use social media to connect with others. Speak at industry conferences to elevate your profile, refine your presentation skills, and position yourself as a credible expert in your field. Trina: I think one of the biggest reasons people don’t submit a conference proposal is because they fear being rejected. What are the odds that my proposal will make the cut? David: Well, first of all, a rejection of your speaking proposal is not a rejection of you! Plenty of great proposals end up not making the cut. That being said, there are very limited slots. For eLearning Guild events with 120 speaking slots, it’s not uncommon for us to see upwards of 600 proposals. Once we do a basic screening, we generally end up with some nos and a lot of yesses and maybes to review. Trina: Okay, so what can I do to increase my odds of ending up in that yes pile? David: When we’re reviewing proposals, we like to see a clear statement about the problem the speaker’s session is trying to solve. What’s the story you're trying to tell? People sometimes submit proposals as a table of contents or an outline view of their session introduced as “these are the things we’ll discuss” and it makes their ideas come across as dull and unoriginal. Trina: What about instant turnoffs? Is there anything that people should just avoid doing altogether? David: I always suggest that people ask a friend or a peer to proofread their proposal for grammar, spelling, missing words, overall tone, and messaging, etc. Even simple things like cut-and-paste errors, typos, or other mishaps can make your proposal look amateurish or can make it hard for the reviewer to follow your train of thought. At the end of the day, all we have are your words to help guide our decision, so make sure you’re clearly communicating your ideas. Trina: Obviously the mechanics of writing a good proposal are important, but I really liked your earlier point about focusing on the story you’re trying to tell. Can you expand on that a little more? David: Absolutely. Someone with a proposal that says “You’ll learn how to do X” is probably going to make it much farther in the screening process than someone with a similar proposal worded as, “I’ll show you how to do X.” That’s because the speaker’s intent is different. The first approach is about speaking to transform the audience, and the second one is about speaking to demonstrate expertise. If you’re not sure whether your proposal has the right focus on audience needs, one thing to look at is the words you’re using. A good conference proposal should have way more “you’s” than “I’s”. Trina: And I think that brings up another good point. How can people gain a better understanding of a conference audience’s needs? David: Most conference websites have a “who should attend” section. At a minimum, read that and write your proposal with those folks in mind. I’m always happy to schedule a quick call to talk through what we’re looking for. And even that brief bit of interaction can make a huge difference when filling slots later on down the line because people remember the person who made an effort to reach out and understand the needs of the audience. Trina: Submitting a speaking proposal to an industry conference poses a bit of a chicken/egg conundrum for folks who don’t necessarily have a well-recognized brand. What’s your advice for first-timers or people who are just getting started? David: When we’re planning eLearning Guild events, we set aside roughly 20% of our speaking slots for new speakers. That can be a challenge, as it’s more difficult to verify the credibility and competency of someone with little or no speaking experience. Having some good brand recognition and a track record of positive participation in the larger industry conversation is helpful in this regard. If you’re a first-timer with no prior speaking experience and not much brand presence, I’d suggest building your profile and getting more speaking experience to increase your odds. Offering to speak at local events, professional meet-ups, or user groups are great ways to get out there. These types of events let you polish your presentation skills while giving your future conference proposals a credibility boost. Trina: So let’s say I’ve done all of these things, my proposal is solid, and I still don’t make the cut. What should I do differently next time? How can I find out what to do better? David: Great question. Honestly, very few people take the time to get feedback from conference organizers. Reach out to the conference organizers before you submit your next proposal. Sometimes connecting via social media is easiest, but even a quick conversation gives the organizers a chance to ask questions and get to know you—and maybe even give you a few ideas for refining your proposal. Making this kind of outreach also demonstrates your passion for the topic and gives organizers a personal connection to you. And if your proposal gets rejected, try to remember that a rejection just means that your proposal didn’t fit the program. These are tough decisions and conference organizers take the responsibility of reviewing these proposals very seriously. At the eLearning Guild, sometimes we’ll reject a proposal for one conference, but we’ll short-list the speaker and/or their proposal for a slot in a different venue like our Online Forum. Try to remember: just because something didn’t fit into one event’s program doesn’t mean that it’s not a good fit for something else in the future. Trina: David, thanks for taking time out of your busy day to chat with me and to share your tips with us. David: You’re welcome. 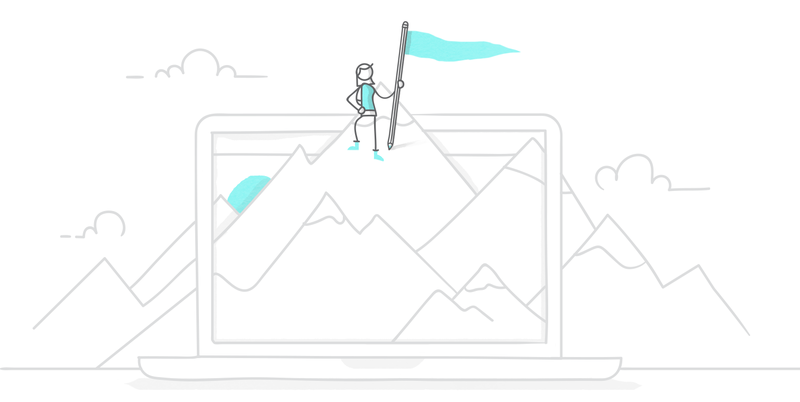 It’s been great to share these ideas with you and the E-Learning Heroes community. If folks are interested in learning more, they can always reach out to me via email at dkelly@elearningguild.com, on Twitter via @LnDDave, or you can use the "Contact Me" link on my E-Learning Heroes profile. Ever spoken at an industry conference? Share your stories, tips, and questions with us by leaving a comment below. Enjoy this article? If so, we’d love for you to follow @Articulate on Twitter, where we post the latest and greatest news about everything e-learning. This is very helpful. I've only submitted a conference proposal once, and it was rejected. This gives me some better ideas on what to do next time. David, thank you so much for the advice. I have a background in Elementary Education and am now in Instructional Design. I just submitted my first abstract. I hope I get excepted, but if I don't I will keep in mind your point about that it my topic just might not fit with the conference. Great piece Trina! thanks! @christy, you MUST try again--based on your blog posts, I would TOTALLY come to your session! This is so helpful, thank you! I am currently writing a proposal for DevLearn, and as a first-timer, this article provided some great advice.